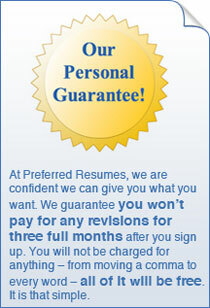 Preferred Resume is a resume company run by Employment Research Institute, one of the largest career companies in the world. Preferred Resume's highly-trained and "homegrown" resume writers create award winning resumes and cover letters that get our clients results. The employment industry is an extraordinarily competitive one, and you should not trust your resume to any ordinary resume firm. All we do are resumes, and we are exceptionally good at what we do. Our service is one of the best investments you can make in your career. 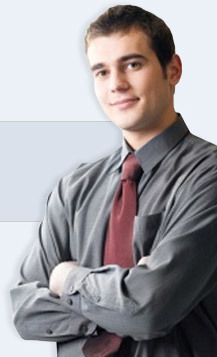 Our company helps thousands of people in virtually every profession get jobs each year. When writing resumes, our experience helps us craft resumes that get more interviews and job offers for our clients than their competition. Preferred Resumes has been trusted with the resumes of top-flight executives, CEOs and other top-flight people who need resumes that get results. Get Started With Your Resume Now! A resume won't get you a job. But a resume will get you an interview, so sweat it a little, knowing you can always revise it if you need to. Thank you letters are always sent to interviewers on the day following the interview. They are also usually sent to those who provided networking information, advice, or other assistance. You don't have to accept the first salary offer. You can negotiate. "Great job, everyone! Thanks to your help, I just received an offer that I was dying to interview for. Not only..."
"Now that I have a great resume and cover letter, I am getting tons and tons of responses. I can't believe how ..."